Since taking office in January, Donald Trump’s frequent trips to his Mar-a-Lago estate in Florida has been a source of consternation. So the group Judicial Watch set about figuring how much it costs to operate the president’s aircraft. The answer? $142,380 per hour. Records released by the Air Force to the group reflected the costs for nine hours of travel over two weekends in February and March. From February 3-6, the records show Air Force One traveled 4.7 hours, at a cost of roughly $669,000. A month later, the plane flew 4.3 hours, for a total of $612,234. Judicial Watch made a name for itself as one of the sources who pried loose Hillary Clinton’s emails during the 2016 election. 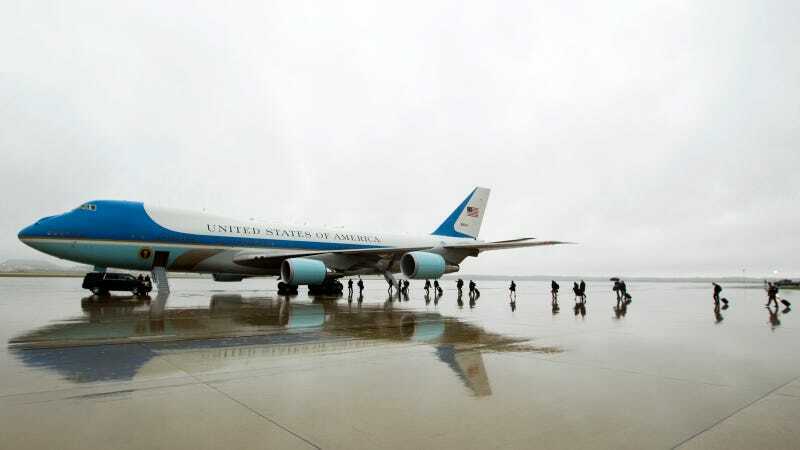 And it tracked former president Barack Obama’s travel over his two terms in office, finding Trump’s predecessor racked up a whopping $97 million in travel costs. As my colleague David Tracy detailed back in February, arranging travel for the president is a highly-orchestrated feat. A video that described the process pegged Air Force One’s cost at roughly $206,000 per hour, a tad higher than what Judicial Watch uncovered. Judicial Watch said it’s going to treat the Trump administration no differently than Obama in keeping tabs on travel costs.